What could be more exciting than beginning 2016 with K-State graduate alumni and friends! 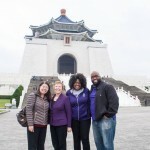 I had the privilege of joining Dr. Chwen Sheu, Interim Associate Dean of the College of Business; Dr. Jessica Elmore, Assistant Director of Diversity Programs in the K-State Alumni Association, and her husband, Mr. Kendric Elmore for two alumni events in Taiwan. On Saturday, January 9 we joined 40 alumni, a current MBA student, and friends at the Cesar Park Hotel for an amazing alumni reunion. 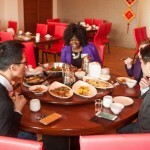 The alumni had graduated with either their master’s or doctoral degrees between 1967 and 2012. 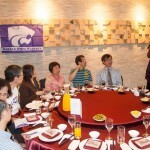 The evening passed quickly as the alumni reminisced about their great times as students at K-State. The K-State representatives enjoyed learning about the alumni’s career successes and their families; sharing a message from President Kirk Schulz; providing updates about their graduate programs, new buildings on campus, and the Innovation and Inspiration campaign. Most were amazed at the changes in the Jardine Complex, since the majority had lived there while pursuing their graduate degrees. Dr. Peter Su was recognized as the alumni who graduated the earliest; Dr. Su received his Ph.D. in Civil Engineering in 1967. Jessica presented an official alumni banner to the group to recognize the group being an official Alumni Club. 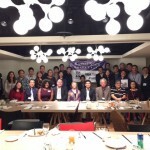 On Sunday, we enjoyed an alumni event in Kaohsiung at the Dream Mall with 17 alumni and friends. 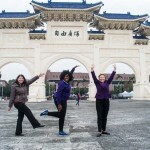 We experienced the same excitement from the alumni as they shared their stories about their K-State experiences. The alumni appreciated the president’s message and the update on the new buildings on campus. Jessica also presented the Kaohsiung alumni with their official Alumni Club banner. 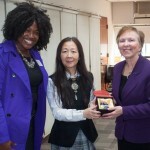 Lin Chang was recognized as the alumnus who had graduated the longest from K-State; Dr. Chang received her M.S. 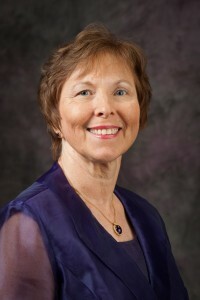 in Institutional Management & Dietetics in 1979 and her Ph.D. in Biochemistry in 1988. The alumni were excited to receive their official Alumni Club banner from Jessica. 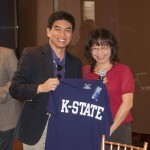 Networking with these outstanding alumni provided an excellent opportunity for the Graduate School and the K-State Alumni Association to reconnect. 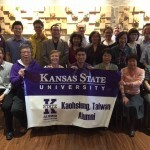 The K-State representatives extend our sincere appreciation to Dr. Emily Wu (Taipei) and Dr. Allan Su (Kaohsiung) and their committees for organizing these two excellent alumni reunions. I would like to extend a special invitation to each of you for the K-State Graduate School Reunion on April 8-9, 2016. We encourage you to invite some of your graduate school colleagues to join for a fun and informative visit to your alma mater. The invitation is presented in this issue of the newsletter and available here. The Graduate School is excited about all the professional development opportunities we are providing in collaboration with the Graduate Student Council and our university partners including the Hale Library, the Writing Center and Powercat Financial Counseling. 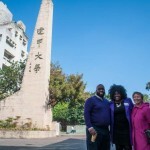 Some of these events are supported by our alumni who are helping us reach our 2025 initiatives, “Enhancing the Graduate Student Experience” through their contributions and insights as to how to increase our graduate’s competitiveness. Thank you for continued support of graduate education!